November was another very productive reading month, in which I managed to get through 14 books altogether. This number was comprised of 6 novels, 2 novellas, 2 graphic novels, a short story collection, 2 poetry collections and a tiny book that was simply one illustrated poem. A highlight amongst them was probably that aforementioned illustrated poem – ‘B’ by Sarah Kay. It’s like a love letter between parent and child; a timeless and heart-warming little read that I highly recommend to anyone. I also loved A Portable Shelter by Kirsty Logan, which is a collection of often melancholic short stories inspired by Scottish folklore and fairy tales. My total for 2015 is now sitting at 114; far beyond what I thought possible at the start of the year. I’m excited to see what final figure I can hit by the end of next month, when the struggle of putting together a list of favourites and setting some bookish resolutions for 2016 begins. Happy reading! What was your favourite read in November? that will never let me go. the bliss of rapture without battles won? 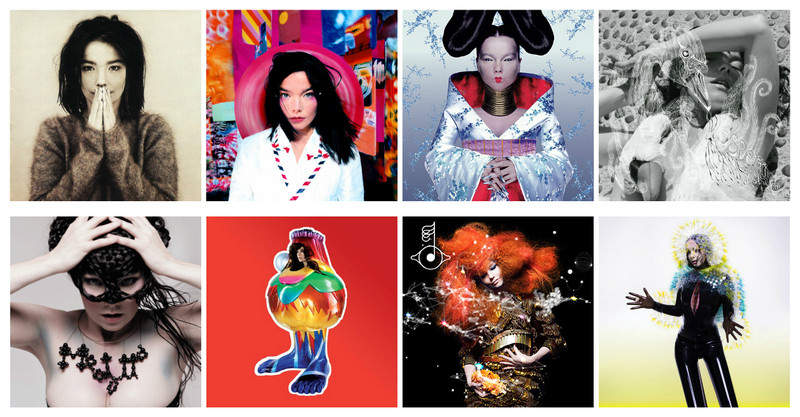 If there is one single person who has inspired me most in this life it is definitely Björk, and since today is her 50th birthday, it seemed only right to mark it with a brief post here on my blog. She has inspired me as a performer, with a voice that can transcend from being frail and childlike to guttural and powerful with ease; as a lyricist, writing songs that read like poems; as a composer, crafting beautiful string and orchestral arrangements; as a visual artist, creating incredible music videos and costumes; as an innovator, commissioning mind-blowing bespoke instruments, such as one that harnesses the power of gravity; as a teacher, creating an interactive music programme now part of national curriculums that teach children about music; and as a human being, embracing and pioneering the use of new technology whilst campaigning for the preservation of nature. I could keep gushing but instead, I’ll end with just a tiny selection of some of my favourite songs by this wonderful artist, the first of which allows us to hear her sing in her native Icelandic, and ending with the song that made me fall in love with her work in the first place. I love food and I love books so how could I possibly resist the urge to do this tag? Let’s just jump right into the questions. 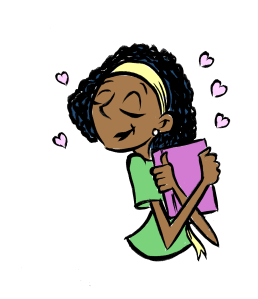 Croissant: Name a popular book or series that everyone (including you) loves. Wow, question one and I’m already wheeling out the obligatory Harry Potter answer. Macaron: Name a book that was hard to get through but worth it at the end. Between Shades of Gray by Ruta Sepetys follows a family seized and taken to a work camp under Stalinist rule, so is understandably incredibly harrowing, but it is tinged with glimmers of hope and I think it’s important that we read books that explore the darker parts of our past so that we can work towards a better future. (Not to get too cheesy or anything). 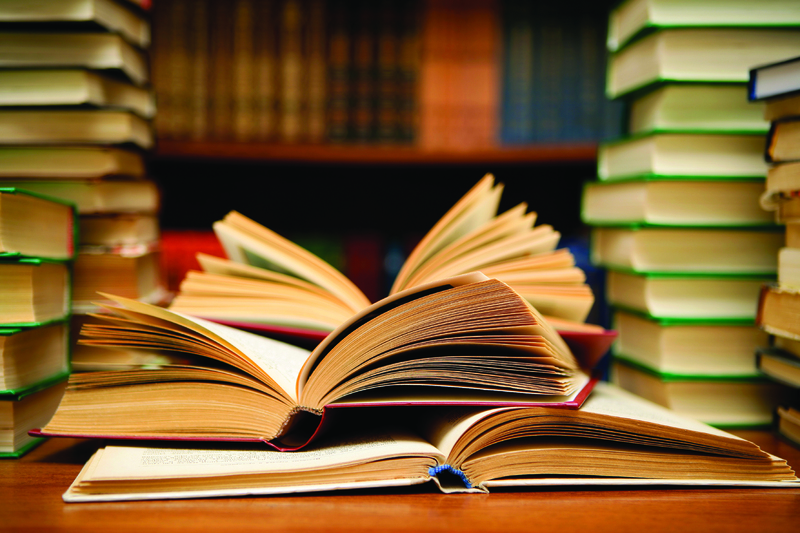 Vol-au-vent: Name a book that you thought would be amazing but fell flat. I’m going to pick a recent read for this and say Magonia by Maria Dahvana Headley. After seeing the gorgeous cover and reading the intriguing synopsis I was very excited about this book and there were definitely parts I enjoyed, like the unique world, interesting lore and eclectic creatures, but scratching beneath that, it was in reality a very typical YA story that relied on a lot of tropes and tired clichés. I enjoyed it enough to carry on with the series when book 2 comes around however, so here’s hoping things pick up and make the most of the big potential. Pain au chocolat: Name a book that you thought would be one thing but turned out to be something else. We Are All Completely Beside Ourselves by Karen Joy Fowler has a twist that totally changes the way you approach the story. I went into this one pretty blind, because the synopsis doesn’t give much away and I avoided reviews, so I’m not sure what I was expecting, but it definitely wasn’t what I got. Profiterole: Name a book or series that doesn’t get enough attention. The Chaos Walking trilogy by Patrick Ness is certainly popular but not as popular as I think it deserves to be. There are series out there that tackle far less interesting themes and have far less compelling characters that exploded onto the scene where as this one’s been more of a slow burn in comparison. There’s potential for a movie adaptation, which as long as it’s handled right could be amazing and could help to introduce a whole new audience to this fantastic world. Croquembouche: Name a book or series that’s extremely complex. I think it kind of goes without saying that George R. R. Martin’s A Song of Ice and Fire series is complex as it has a rich fantasy setting and a massive cast of characters. Napoleon: Name a movie or TV show based off a book that you liked better than the book itself. Hmm, I’m going to say The Lord of the Rings, which may be harsh because I haven’t read the books in years and would like to re-read them at some point but because of how long and dense I remember them being, it’s always been easier to revisit Middle-earth via the big screen, and I do love the visuals in the movies. Empanada: Name a book that was bittersweet. The Unlikely Pilgrimage of Harold Fry by Rachel Joyce is very bittersweet. It follows an elderly man who receives a letter from an old friend, who wishes to tell him that she is dying from cancer. He writes a response but when he walks to the postbox to send it, he decides to just keep walking, believing that as long as he is on his way to meet his old friend, she has a reason to keep living. During his time on the road, walking the length of England, he meets several people who confide in him and cause him to reflect on his own past and his relationship with his wife, Maureen. 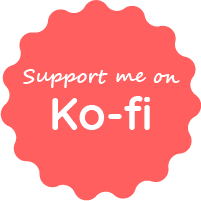 Kolompeh: Name a book or series that takes place somewhere other than your home country. I’m going to pick Burial Rites by Hannah Kent because it’s set in my very favourite place, Iceland. It’s historical fiction following the perspective of a young woman who was the last person sentenced to death in Iceland in 1829. The harsh, wild landscape almost becomes a character in itself, which is why I think it’s a good choice for this question. Pate a Choux: Name one food from a book or series that you would like to try. The ‘eat me’ cake from Alice’s Adventures in Wonderland washed down with a nice cold Butterbeer from Harry Potter. Delicious! Thanks for reading! Since I wasn’t technically tagged in this one, I won’t tag anyone specific either. Instead, I invite you all to get involved, should you wish to. 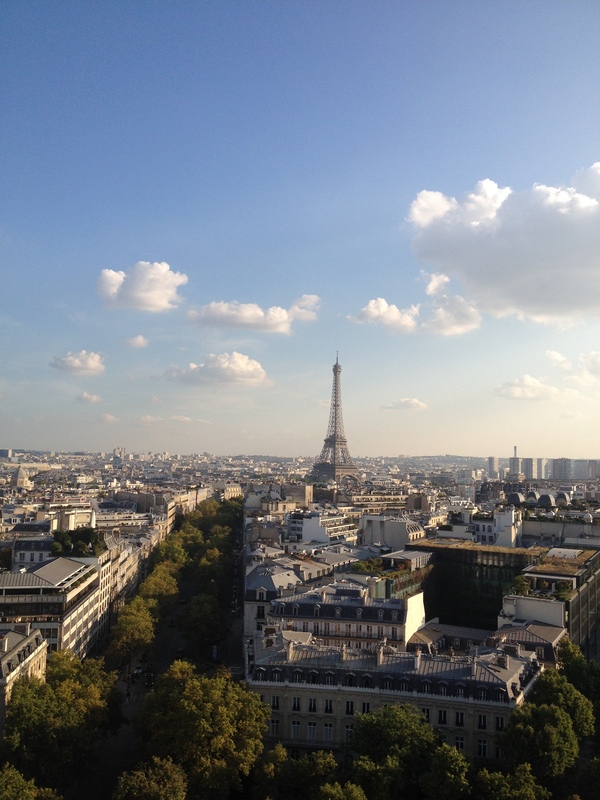 As seen from the top of the Arc de Triomphe on my trip to Paris in September 2014. I’m feeling quite nostalgic today as it’s the 2nd anniversary of the publication date for my book, The Vessel. This also makes it my author birthday in a sense, as it was the first book I released, and in the same month I also started writing this blog, so it’s a pretty special occasion all round (for little ol’ me, anyway). I think I’ve grown somewhat as a writer since then, as we all do, but Eva Cole’s story will always hold a special place in my heart for being the first I shared with the world. I won’t get soppy but I just wanted to quickly thank everyone who has supported me here on my blog but also in buying, reading, reviewing and sharing my books. It’s my living and my passion so it means everything. You guys are the best. 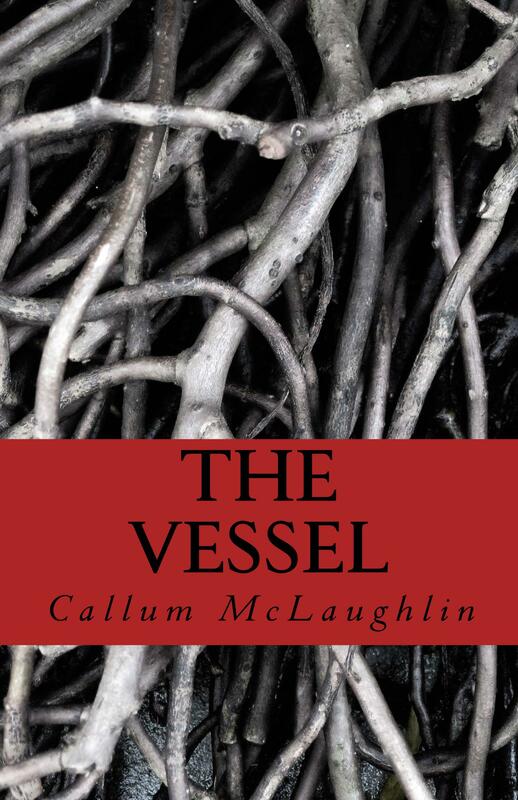 With that said, The Vessel is on sale for Kindle from today until Tuesday, so if you are yet to pick up a copy and would like to, now’s a good opportunity to get it for just 99p / 99 cents. Also, the paperback is available as ever for those of us who like to read the old fashioned way. You can find The Vessel in the UK by clicking here or in the US by clicking here. Don’t know what it’s about? Here’s the synopsis and a little taster. Happy reading! Savaged by disease and riots, the world has descended into a state of chaos. Amidst the desperate remains of humanity, the American government has resorted to extreme measures to try and repopulate their now depleted country, but one unwilling subject of their ruthless actions will not suffer in silence. Escaping from a facility at the heart of their experiments, Eva Cole’s nightmare is far from over. Hunted at every turn, she must fight to survive so that she can expose the truth. Her bottom lip was burst and swollen on one side and a cut on her left eyebrow looked to her as though it would benefit from a few stitches. Hospitals were not exactly commonplace these days however and she knew full well that she would have to make do without and accept the future presence of the inevitable scar the wound would leave behind. Letting out a deep sigh, she left the bathroom and headed back towards the kitchen. She entered to find Delilah and Thomas sitting next to each other at the table. Eva’s dishes had been cleared away and both of her hosts turned to watch her as she made her way into the room. “Come and sit,” said Thomas, his voice as lacking in feeling as it was earlier. His words felt less like an offer and more a command, so Eva did as he said. Once sitting, she looked across the table, first at Delilah, then at Thomas.